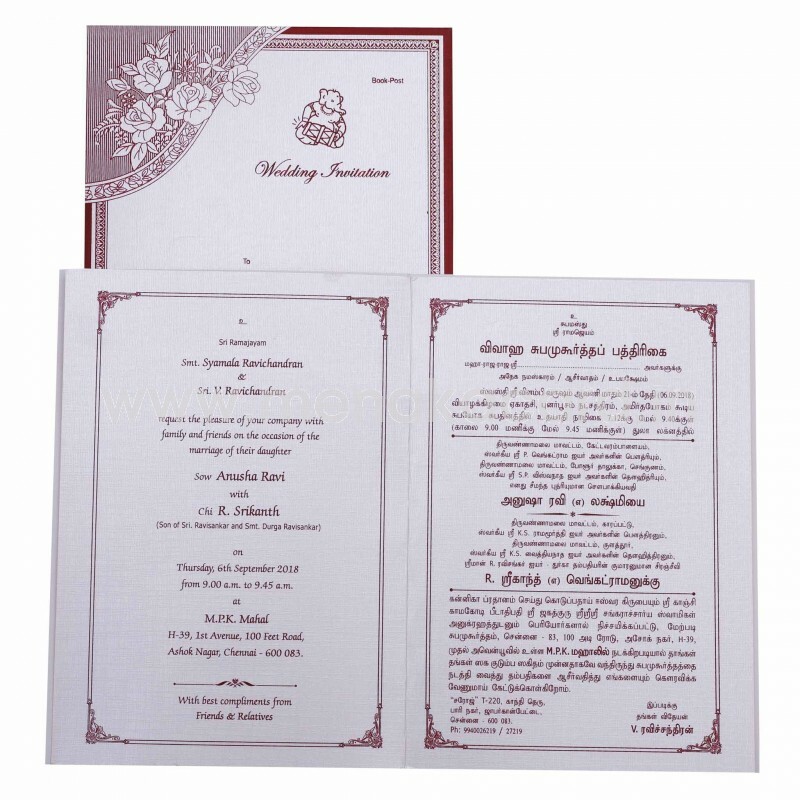 This adorable Off-white and maroon card is made from a textured shimmer board and has a book fold. 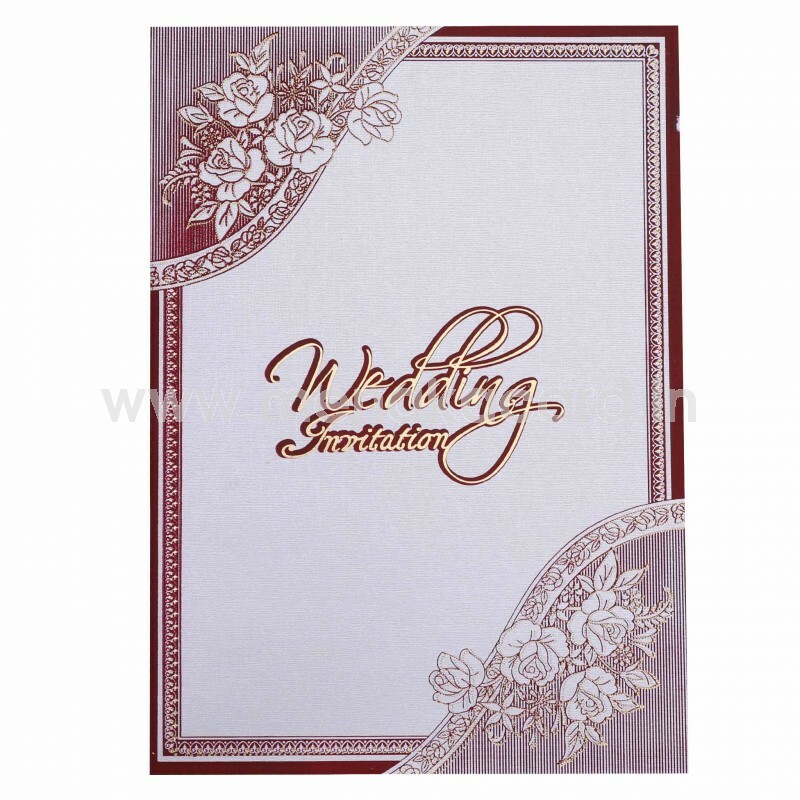 The front of this card has a beautiful corner design with beautiful white and maroon roses at the corner framing the "Wedding Invitation" text printed at the centre in maroon and gold foil. The insert sheet is stuck at the centre and has the content printed in beautiful maroon ink. 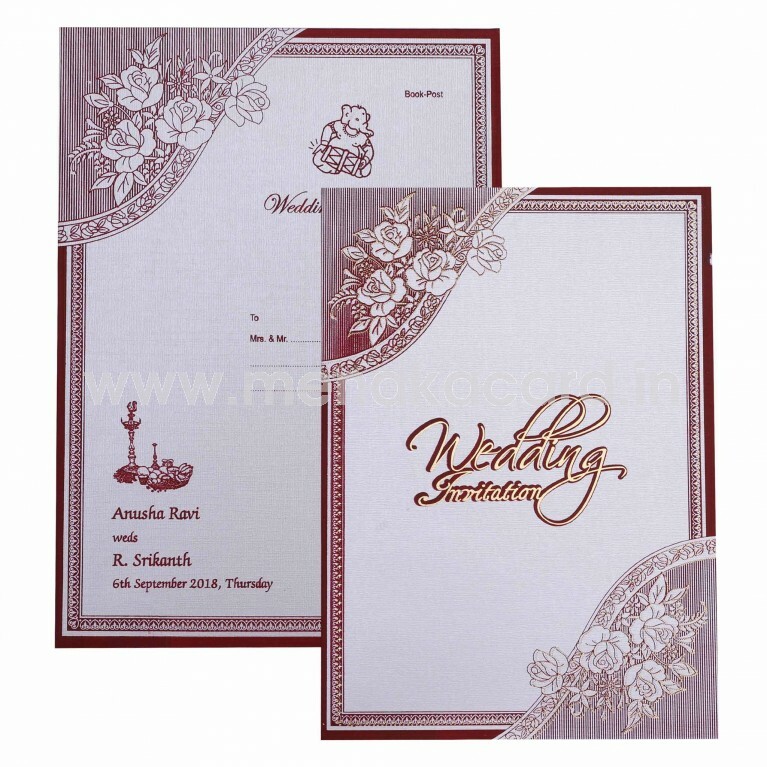 The envelope matches the card in colour and design. 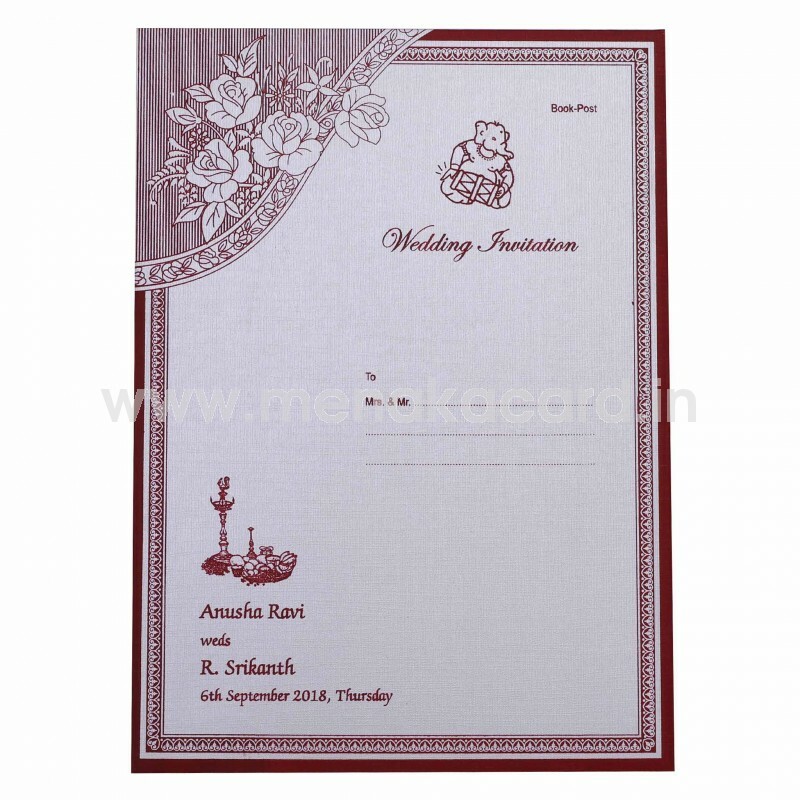 This can be used for Christian, Muslim, Multi-faith weddings as well as personal invitations to friends and colleagues.